Popiah is something that I can have every other day. 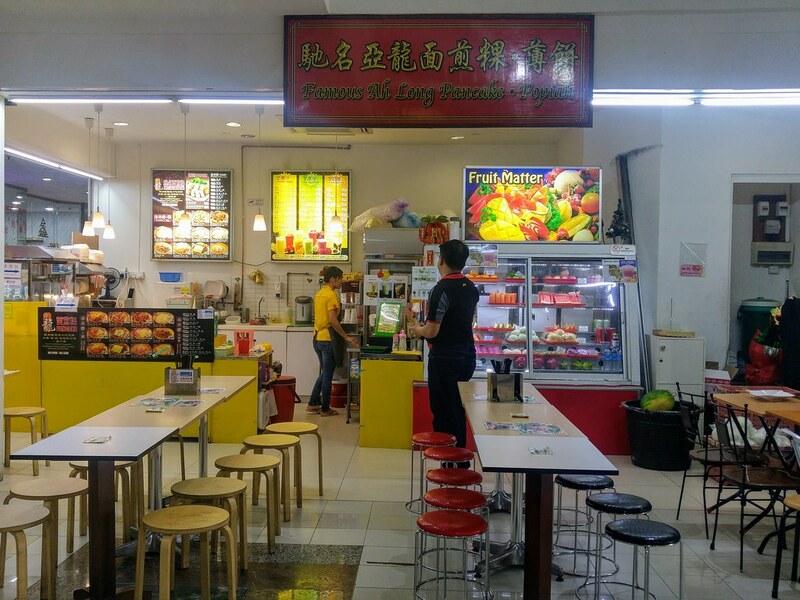 I used to have weekly meeting at Aliwa Street and Famous Ah Long Pancake's popiah at Sultan Plaza was always a meal that I looked forward to. Though my workplace is no longer there, I would still patronize them as and when I have yoga classes as my studio is in the vicinity. What I crave for, is their Chicken Floss Salad Popiah ($1.80). Made with chilled shredded turnips, if you have that before a meal, it serves somewhat like an appertiser, especially when your taste buds are dulled by the humid weather. Full of crunchy elements in there besides the turnips, there are shredded cucumbers, fresh coral lettuce and of course the quintessential ground peanuts and the crispy bits. This summer salad popiah does look a bit raw compared to its regular counterpart but the spread of mayonnaise that replaces the sweet sauce soothes out all the raw edges of the vegetables. Chicken floss and mayonnaise make one of the best teams. 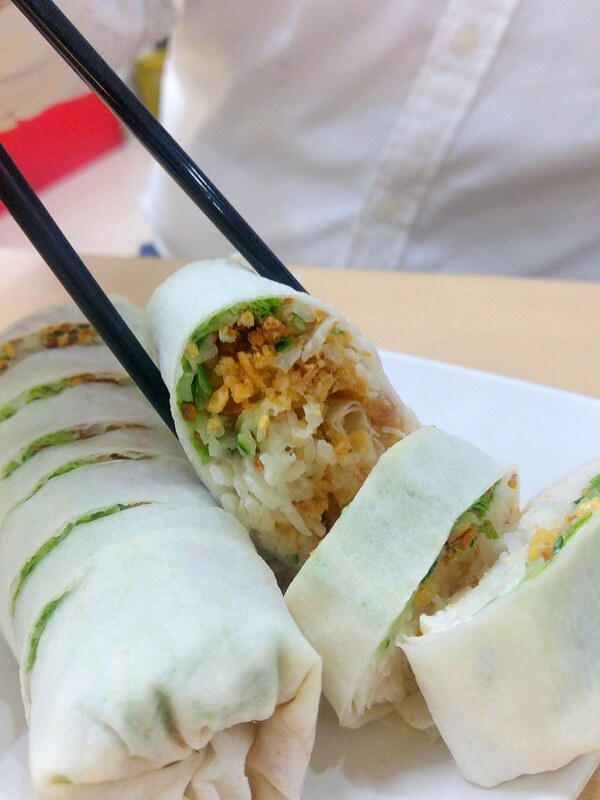 The floss being dry and salty, while the latter is creamy and sweet, which is why this popiah is always at the top of my list! 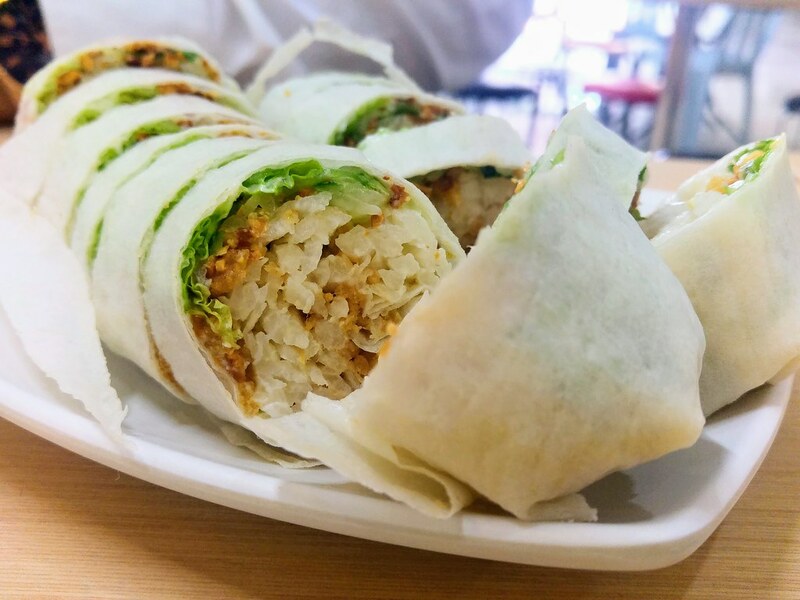 And what I appreciate is that each popiah is compact with ingredients, when many others are loose and simply drenched with sweet sauce and over-seasoned turnips. One thing that is less perfect is the skin, which tends to be a bit stiff but it is still very tasty once everything is put together. Their pancakes serve the residents and office crowd here well, be it as a snack or a meal. For a meal, most go for their varieties with egg. 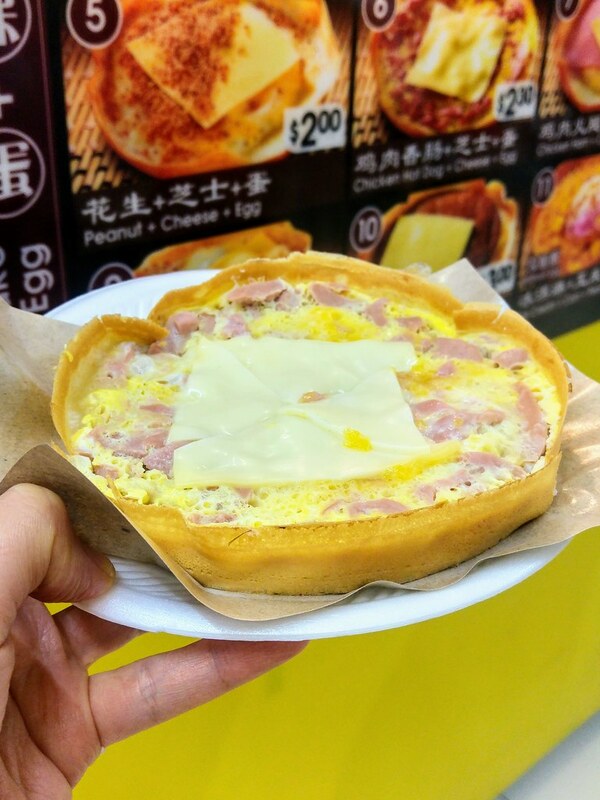 Egg, Ham and Cheese the most popular here. Surprisingly, Egg and Cai Pok is also quite well sought after. 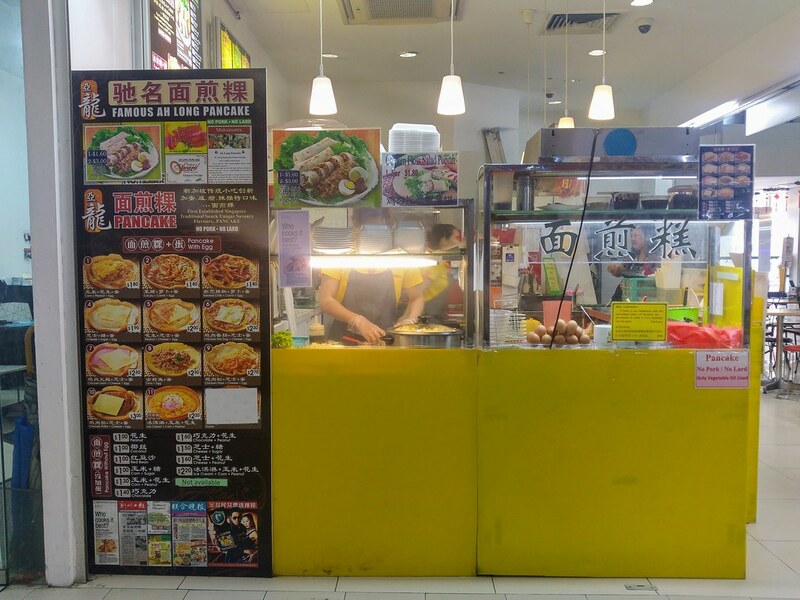 Traditional Popiah ($1.60) is available too, which I enjoy equally. And I feel what elevates it from the rest, other than the nicely cooked turnips, is the addition of coriander and shredded cucumber. Details like this do make a lot of difference to the taste, and the recipe here is done right. Photos and words by Si An. A girl who is allured by travelling, loves the feel of freedom, smell of the rain and the aroma of fine coffee and food.